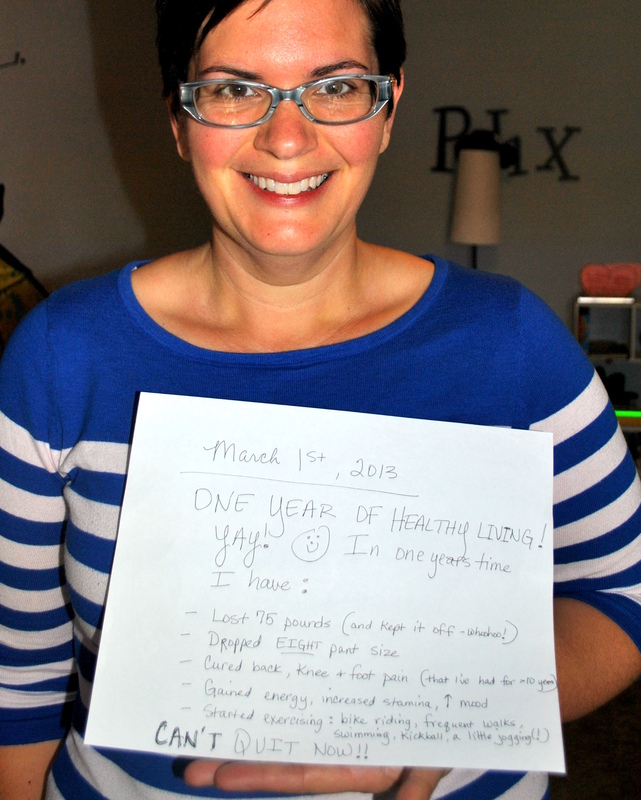 Fat girl gone raw….one year later! | Fat girl gone RAW! A couple of weeks ago I had a “girls night” with my two best friends. We indulged in lots of great food, wine and sweets. The following weekend was my daughters 14th birthday, and again, I overindulged. The day after her birthday, I decided I needed to start a cleanse. 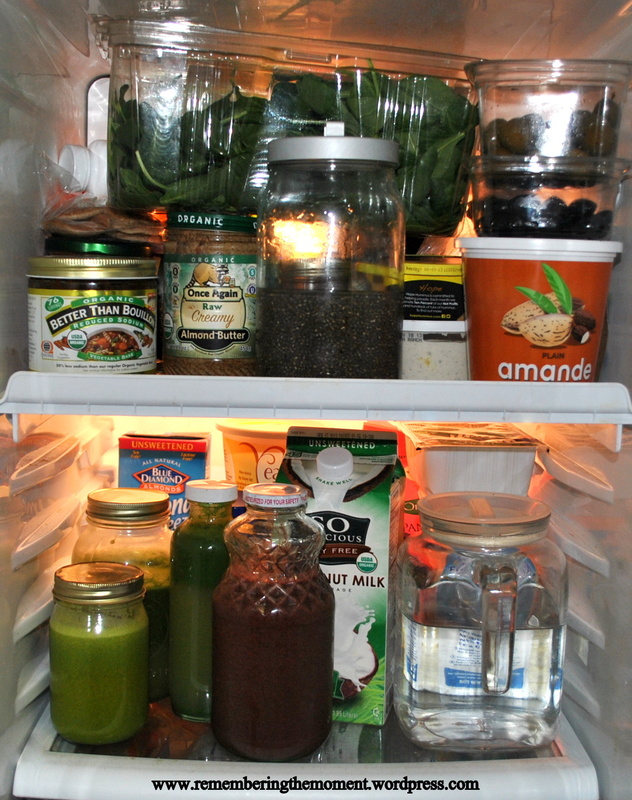 I didn’t make any plans for how long I’d do it, or whether I would only do a juice fast or a raw food fast, but as the days progressed, I decided to stick to consuming only juice and smoothies (with additional fat from raw chia pudding, whole olives and avocado). This got me thinking about how much has changed over the past year. I’ve lost a total of 75 pounds, and kept it off. I’ve dropped EIGHT pant sizes. I no longer have chronic back, knee and ankle pain, and I no longer suffer from plantar fasciitis. I rarely get sick (just had my first cold in a year), and I feel much healthier in general. I exercise several times a week – including biking my son to school (which is an extra 50 pounds of weight), walking dogs daily, playing kickball and frisbee with my husband and kids, and I just recently started jogging! I also LOVE to swim, and can’t wait for the summer. I remember when I dreaded getting hot and sweaty, and now I can’t wait to get out and get my heart rate up! I feel like exercise improves my entire day. Over the past year I haven’t stayed entirely “raw,” or even vegan. I’ve kept my vegetable and fruit intake high, and my refined food intake low. I’ve avoided fast food, junk food, soda, coffee, and refined sugars. 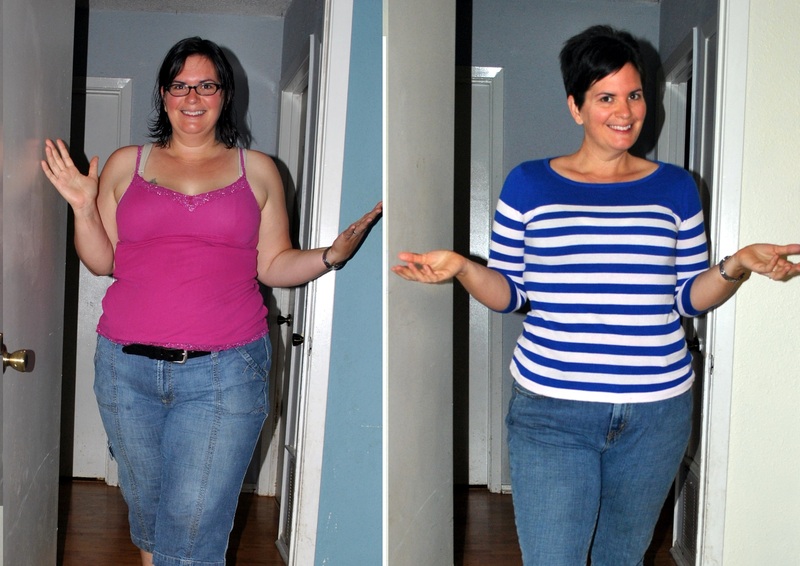 Now all of this has not been without dedication and hard work – I think any lifestyle change requires a lot of willpower – but I also know that if I can do it, ANYONE can! I hope that you’ll feel inspired to try something new. It’s never too late. And just FYI, you can’t fail! There’s no way to mess up when you’re eating raw food. 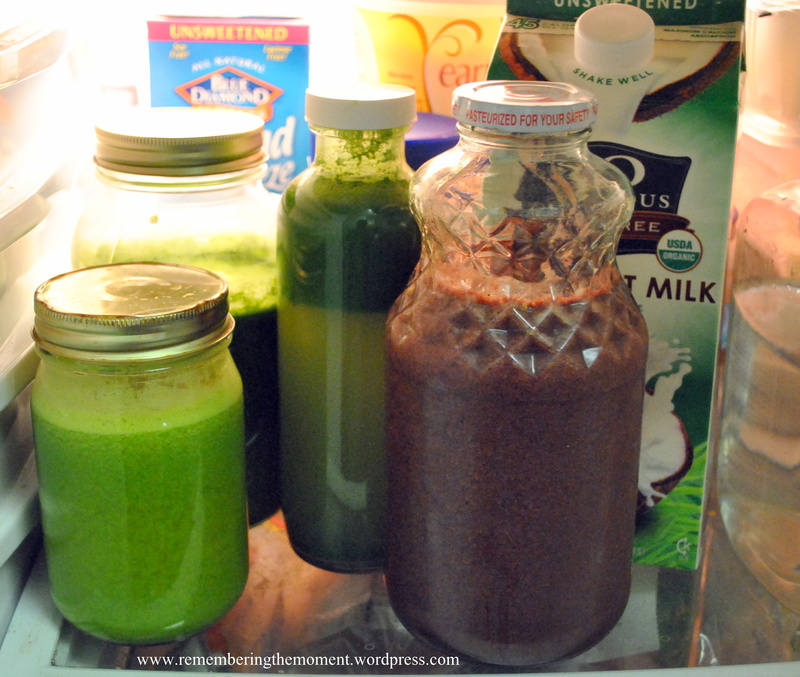 Add a smoothie or juice to your daily diet – see how you feel. Make a point to add some green to your daily meals by replacing the rice or potatoes with a salad or veggies. Need some advice or inspiration? Let’s talk! The one message I want to share with everyone is that talking to people who have “been there, done that” will light your fire, and help you stay on track. So with that, I share with you several recipes I have been working on this week! I am lucky to live near my favorite raw juice restaurant, Juiceland. We are trying to save money for a move this summer, so I haven’t been able to go as often as I used to, and I decided I’d just have to make some of their juices at home. Run all ingredients through your juicer – this one is great over ice. If you’re feeling like you’d like an extra kick, add 1/2 inch knob of ginger! Blend it up and drink it down. SO GOOD! And last, by not least, a simple apple juice with a kick….. 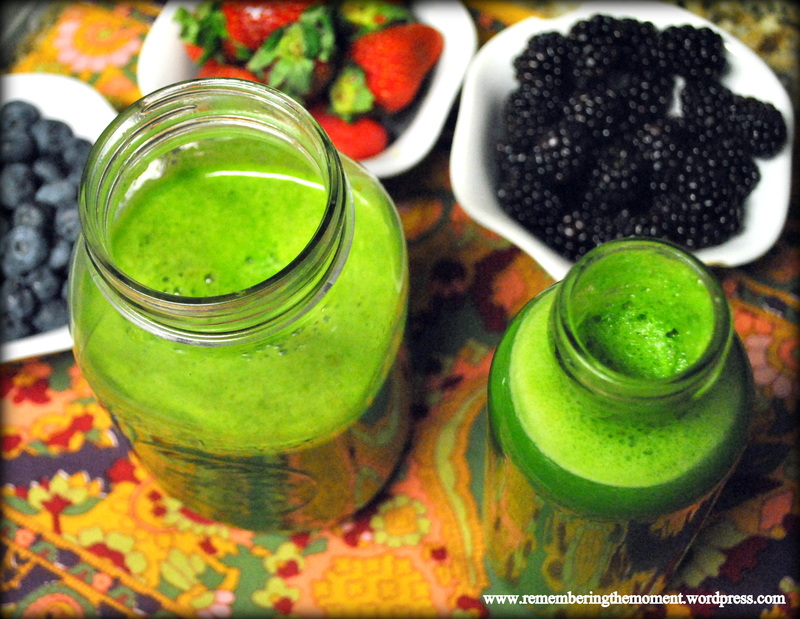 This juice is clean, crisp and is a great morning juice! The first time I drank it I thought “who needs caffeine? 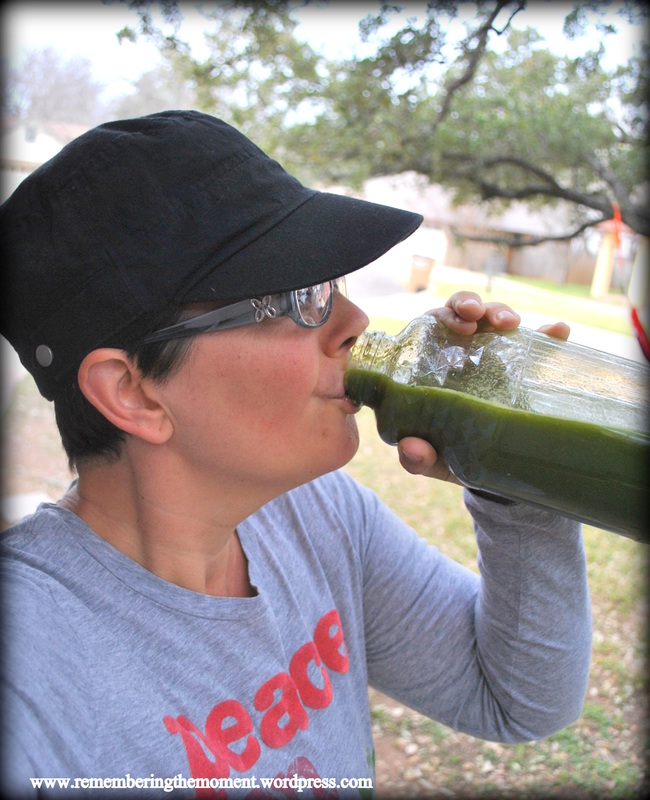 ?” This juice will wake you up – it’s pictured on the bottom left. According to WHfoods.org, modern scientific research has revealed that ginger possesses numerous therapeutic properties including antioxidant effects, an ability to inhibit the formation of inflammatory compounds, and direct anti-inflammatory effects. If you are not a huge fan of ginger, just slice off a little tip and toss it in the juicer with your other fruits. 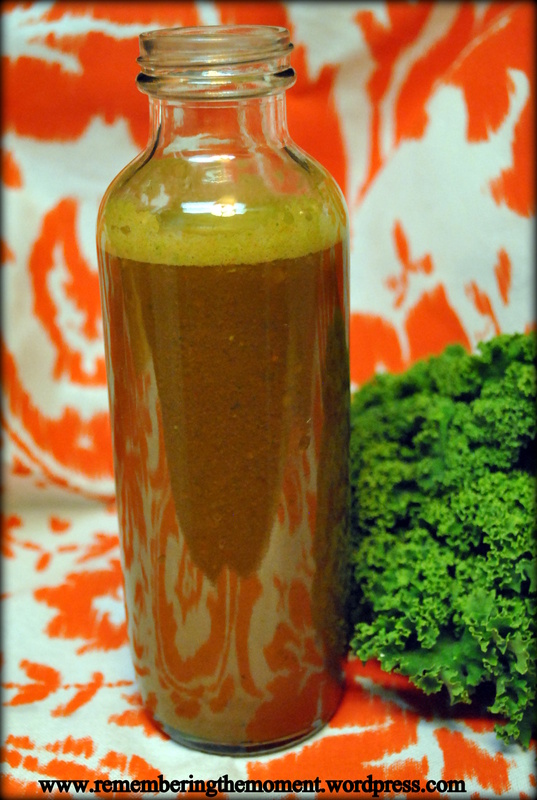 You may find that the benefits are worth the spiciness it adds to this juice! There you have it – one year down, lots and lots of years to go. 🙂 I’m so thankful for the friends who have cheered me on, been inspired to try something new, and/or just listened to me go on and on about my juice and smoothie adventures. Thank you for being here with me, and I hope you will feel encouraged to get a little “rawness” in your life! « A quick guide to smoothies.